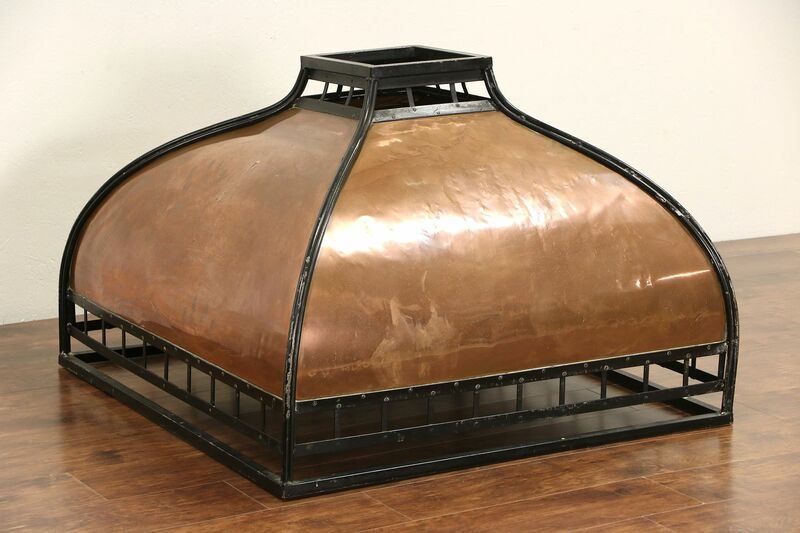 Custom made about sixty years ago of copper with an iron frame, this gracefully shaped kitchen exhaust hood or canopy is square. There are dings to the copper and wear to the painted iron frame for a little character. Size is 44" square and 29" tall.